The penalties for drinking and driving in New Hampshire are harsh. A DUI conviction can lead to fines, loss of license, jail time, and a criminal offense on your record. The severity of the penalty depends on many factors including the level of intoxication and whether this was the first conviction or subsequent DUI. In New Hampshire, anyone with a blood alcohol level – or BAC – of .08 or higher is deemed to be too impaired to drive and over the “per se” legal limit. The threshold for drivers under the age of 21 is considerably lower at .02 BAC. And for drivers with a commercial drivers license (“CDL), operating with a .04 BAC will result in license loss for 1 year, and if hauling hazardous materials, 3 years. In 2013, the DWI laws and punishments in NH were overhauled. As a result, a New Hampshire DWI does not just include being under the influence of alcohol, but now includes drivers who are under the influence of drugs, prescription or otherwise. If a convicted driver enrolls in the IDCMP within a prescribed timeframe, the court can suspend six months of the loss of license. If that portion of the sentence is suspended, the court may order that an ignition interlock device be installed in the driver’s car. The penalties for a second DWI conviction in NH depend on when it happened in regards to the first. The punishments increase if the second conviction is within two years of the first. In that case, the driver is convicted of a Class A misdemeanor and the minimum mandatory sentence is 60 days in jail with 30 days suspended. Additionally, he or she faces a $750 fine, license loss for 3 years, and the driver must undergo a substance use disorder evaluation along with the IDCMP. An ignition interlock device and an SR-22 are mandatory. If the second DUI offense is more than 2 years of the first offense, but within 10 years, a conviction is a Class A misdemeanor, carries a $750 fine, mandatory license loss for 3 years, but the jail sentence drops to 17 days with 12 days suspended. A substance use disorder evaluation must still be completed along with the IDCMP. Once again, the ignition interlock device and an SR-22 insurance certificate will be mandatory. A third DWI conviction in NH is a Class A misdemeanor with a mandatory 180 days in jail with 150 days suspended if the driver meets certain criteria including completing particular alcohol and drug programs. Additionally, the driver will lose his or her license indefinitely and will not be restored for at least 5 years. At the end of five years the individual can petition the court to reapply for a license. If the license is reinstated, an ignition interlock device must be installed for no less than 12 months but up to two years. In addition, the driver will be fined $2,000 and be referred to an Impaired Driver Care Management Program. the driver must attend an IDCMP and complete the substance use disorder evaluation. If you are accused of DUI in New Hampshire, don’t hesitate to contact the New Hampshire DWI defense attorneys at Tenn And Tenn, P.A. Our defense attorneys will examine the circumstances of your arrest and will mount a strong defense on your behalf. For more information, please call Tenn And Tenn, P.A. today at 1.888.511.1010 or contact us on the web. 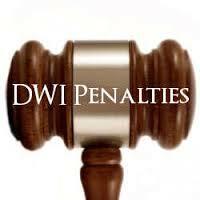 Please remember that the DWI statutes are frequently amended by the legislature. The above information is for informational purposes only. Always consult with a NH DUI lawyer to discuss the specific penalties applicable to your case.